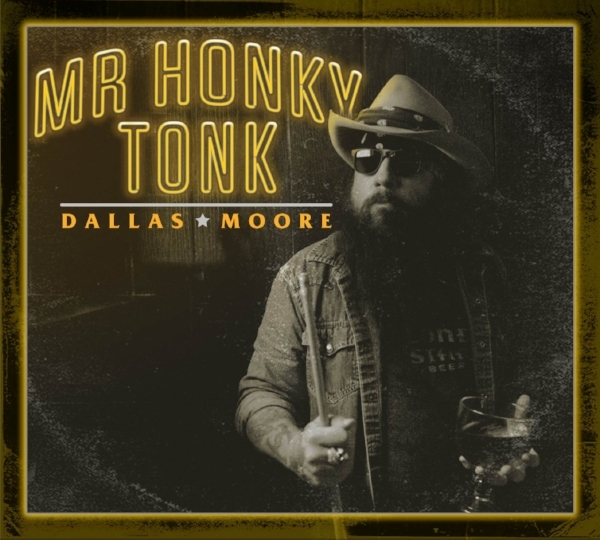 Mr. Honky Tonk, the long awaited and much anticipated full length album from Dallas Moore is now available for Pre-Order on CD. Produced and recorded in Nashville, TN by Dean Miller and featuring all new original material, this recording showcases Dallas Moore in a career defining moment. Moore is joined on this project by long time guitarist Chuck Morpurgo aka Lucky Chucky and several special guests including Mickey Raphael (of Willie Nelson and Family) on Harmonica. All Pre-Orders will be shipped in advance of the March 2nd 2018 release date.